Jolly Jong Dogs is like a usual solitaire but with funny dogs on the tiles. Meet a new adaptation of this popular classic game! The rules are simple: You need to find two of the same dogs to remove the two tiles. Cute dog and pleasant music will make your adventure enjoyable. • Pleasant graphics style and soundtrack. Put your attentiveness to the test right now and have fun! 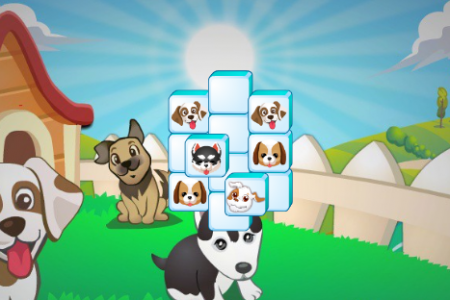 Play Jolly Jong Dogs for free and enjoy! Use a mouse to choose boards with dogs.